Sale items have been reduced to clear by advertisers so pick up a bargain today using these active working discount codes! Updated daily, these promo codes bring you the latest available savings. To be a really savvy shopper combine discounted products with voucher codes and bag yourself free delivery where possible! Get B&Q free delivery when you spend £50+. The code is automatically applied and does not need to be entered at the checkout. On top of existing 25% Indoor Furniture Sale prices enjoy an extra Argos 20 percent off and free delivery on a basket value of £150+ using this Argos discount Code. Laura Ashley voucher Code available now! Take an extra 10% off everything. Use this B&Q discount Code to save £30 on your log storage, no need to have it looking messy anymore! Code auto applied, visible on click. Free B&Q delivery voucher Code for next day delivery for both small and large items when you spend £50+ on your online shop. Select items in Bathroom packages reduced by half and an extra 10%. Code auto applied and saving not applicable to all packages. 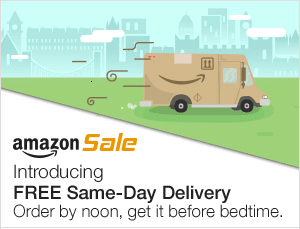 Free delivery after £50+ spend. Wickes Discount Code will be automatically applied & discount visible on the landing page. Free delivery available £50+ spend. Use this Argos discount Code, meet the minimum spend of £25 ant you've saved money with a Code! A compilation of the latest active working discount codes.